Training personnel, including evacuation guides and shifters, checking procedures, improving collaboration with the CERN Fire Brigade: the first real-life evacuation drill at CMS took place on Friday 3 February from 12p.m. to 3p.m. in the two caverns located at Point 5 of the LHC. CERN personnel during the evacuation drill at CMS. 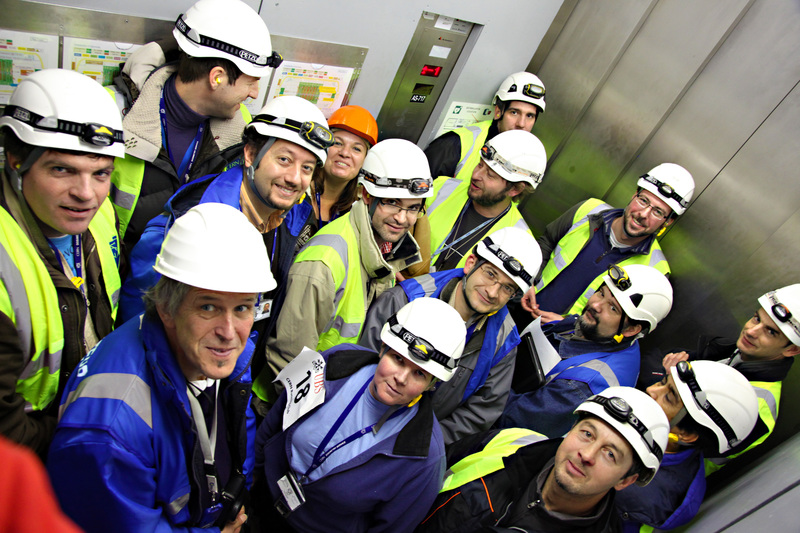 Evacuation drills are required by law and have to be organized periodically in all areas of CERN, both above and below ground. The last drill at CMS, which took place in June 2007, revealed some desiderata, most notably the need for a public address system. With this equipment in place, it is now possible to broadcast audio messages from the CMS control room to the underground areas. The CMS Technical Coordination Team and the GLIMOS have focused particularly on preparing collaborators for emergency situations by providing training and organizing regular safety drills with the HSE Unit and the CERN Fire Brigade. This Friday, the practical training course involved more than 100 people from different personnel categories and from nearly all CERN departments (PH, EN, GS, TE, BE, DG, Unite HSE, etc). The next drill will be based on a realistic scenario involving a major accident and will require rescue teams from inside and outside CERN. The CMS collaboration and the various safety teams at CERN are looking forward to meeting this challenge! More information about safety at CMS is available here.